The Pittsburgh Penguins have reason to believe they can survive the Eastern Conference final, while the Chicago Blackhawks and Los Angeles Kings are expecting a wild ride in the West. All that and more in Friday's Stanley Cup Stories. 1. 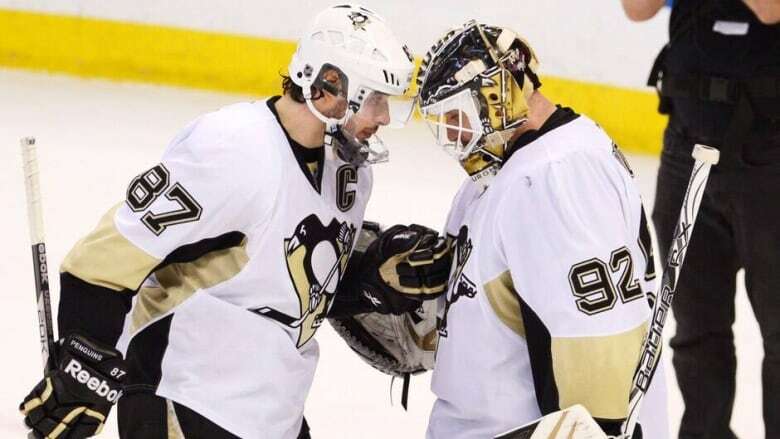 If the Stanley Cup playoffs are a battle of endurance, then the Penguins may have some extra experience in net. As CBCSports.ca senior hockey writer Tim Wharnsby puts it, veteran Pittsburgh goalie Tomas Vokoun has been a hockey survivor throughout his career. And when the East final officially kicks off Saturday night between the Penguins and Boston Bruins (CBC, CBCSports.ca, 8 p.m. ET), Boston goalie Tuukka Rask will look to prove he's equally up to the task. Wharnsby thinks this series is going down to the wire and predicts the Penguins will prevail in seven games, but what do Rob Pizzo and Mark Osborne think on our Hockey Night Online panel? Hockey Night in Canada analyst Elliotte Friedman joined Hockey Night in Canada Radio on SiriusXM to talk about how the Penguins have a relaxed and light-hearted attitude. Wondering where and when you can get your hockey fix? Make sure to check out our playoff broadcast schedule. 2. The defending Stanley Cup champion L.A. Kings are no strangers to the grind of the playoffs, and they're expecting a wild series with the Chicago Blackhawks, beginning Saturday night (5 p.m. ET). Tim Wharnsby writes that while it may be a tight series, the Kings will put away the Hawks in six games. Former Kings great Bernie Nicholls talked about L.A.'s current playoff run on Hockey Night in Canada Radio on SiriusXM, while ex-Blackhawks assistant John Torchetti weighed in on what makes Chicago such a tough team. For a full Hockey Night Online Western Conference preview, click here. 3. It would be hard for the average hockey fan to imagine the Detroit Red Wings without the sweet stickhandling of Pavel Datsyuk in the fold. And evidently, it would be hard for the sniper to picture himself in another uniform as well. Datsyuk said Friday he wants to stay in the Motor City after his current contract expires in a year. The Wings are coming off a heartbreaking Game 7 loss to the Blackhawks on Wednesday.